It has been not so long ago when we were happy that Mongolians started producing socks. 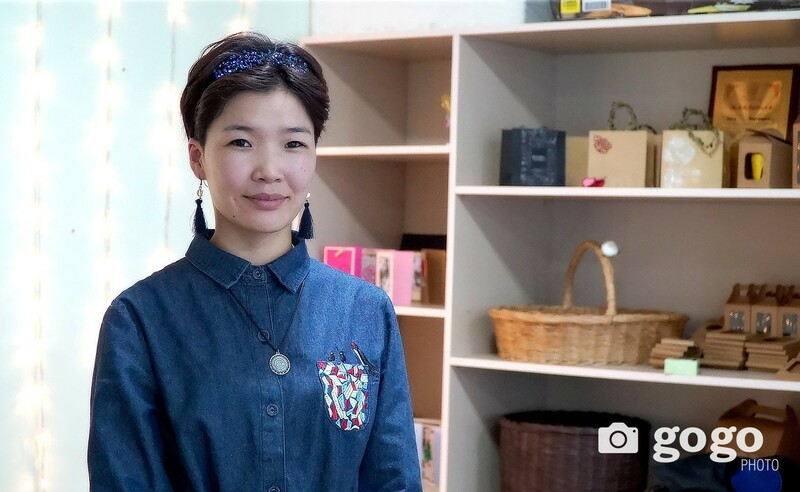 Then now Mongolians are keen on creating and producing and are having many products to be proud of that are Made in Mongolia. 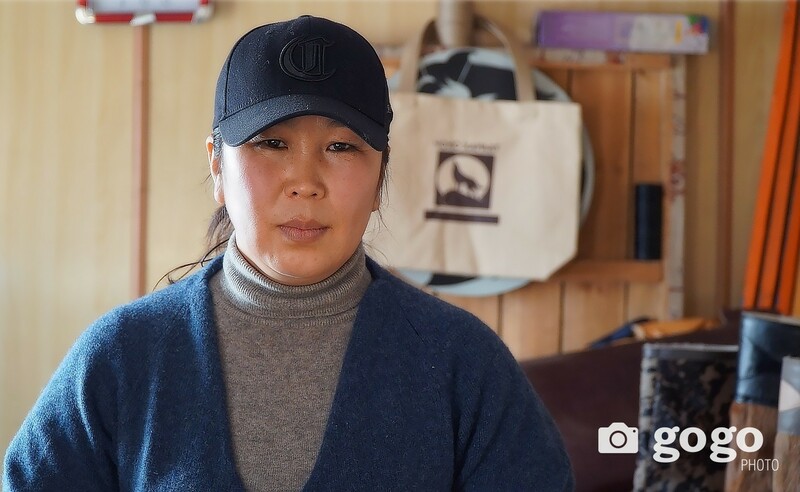 We have invited CEO of Gantig Bath Construction Munkhtsetseg Jadambaa to share her experiences of overcoming her ups and downs to create the brand that is produced in Mongolia. 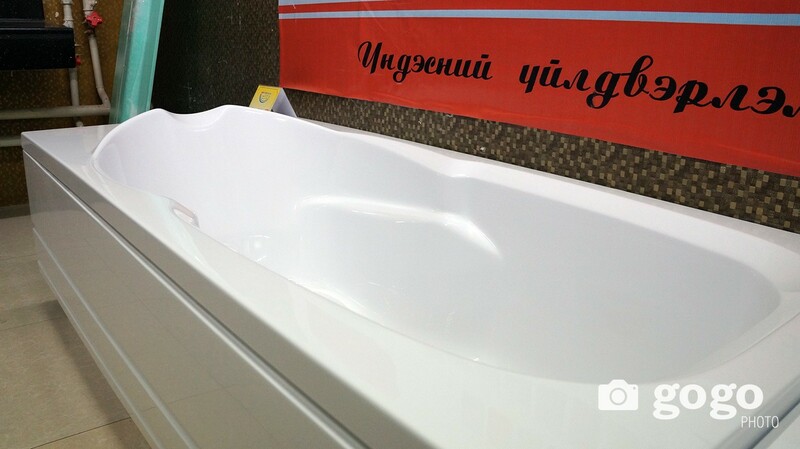 It might be pleasing to know that one can actually have a custom made bath tub and sink of a desired color and that is made my Mongolians. Before meeting her we visited the store in 100 Ail. We were actually amazed by the variety of colors and possibilities of design and make of the bath tubs and sinks. The store is located at the ground floor of Material House Store. We were curious about prices of the similar products offered by Gantig Bath Construction, the prices were same, but one thing differed significatinly the design. -How did the production start? -My spouse worked in Korea at the bath tubs and sink manufaturing joint. His contract ended in 2011 and came back to Mongolia. During his stay in Korea we were discussing on the opportunities of having the similar business here in Mongolia. After he came back we have prepared necessary equipment and set up the production location in a year's time. At that time the construction sector in Mongolia was booming and many young couples were interested in moving into apartments. We have established our company in June of 2012 and the production started in August of the same year. -You are offering various options for the customers on the size, design and even colors. How many types of products the company offers? 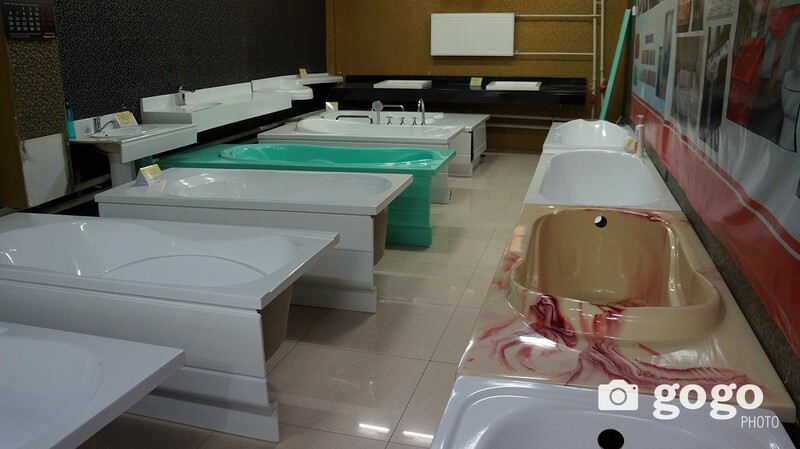 -As of today we produce 8 types of sinks, 14 types of bath tubs and 2 types of jacuzzi tubs equipped with tools from USA. On color options we added options of sparkles, patterns and cuts on top of variety of colors. -In order to come up with pricing you must have done the market survey. Do you offer competitive prices? -We do offer lower prices. The cheapest products are plastic and metal ones from China. Those without front closures are priced at MNT 200-250 thousand, while we offer stone tubs with front closures at MNT 230-250 thousand. The point here is to make better choice and spend money wisely as we offer better quality products at the same price. Манай хамгийн хямд ванн 180 мянган төгрөгийн үнэтэй. Урдаа хаалт буюу нүүргүй. Тэгэхээр үнийн хувьд хямдхан чанартай гэж ойлгож болно. Муугаар бодоход таны авсан хятад чанар муутай ванн сарын дараа их удлаа гэхэд жилийн дараа эвдэрч, хэмхэрлээ гэхэд хаана, хэнд хандах билээ. Бид Монголд үйлдвэрлэж байгаа гэдгээрээ хэрэглэгчиддээ чанар, эдэлгээг нь таньж мэдэх зургаан сарын баталгааг өгдөг. Үйлдвэрээс шалтгаалсан цууралт гэх зэргийг бид өөрсдөө засаж, янзлаад өгдөг юм. Тэгэхээр бид үнээ нийтлэг зарж буй хятад ваннтай ижил үнээр тогтоосон ч чанарын хувьд илүү дээр нь баталгаа өгч байгаа гэдгээрээ онцлог. -Бүр дэлгэрүүлээд бүтээгдэхүүний төрлөөр нь үнээ танилцуулбал бид хоёрын ярилцлагыг уншаад танай бүтээгдэхүүнийг сонирхож байгаа уншигчдад хэрэгтэй болов уу? -Тэгэлгүй яах вэ. Үнэ хэмжээнээсээ шалтгаалаад өөр өөр байдаг. Хүүхдийн жижиг угаалтуураас эхлээд энгийн дөрвөлжин угаалтуур, тавцантай 170 см хүртэл урттай, тавиуртай угаалтуурууд бий. Үнэ нь 50-150 мянган төгрөг байдаг юм. 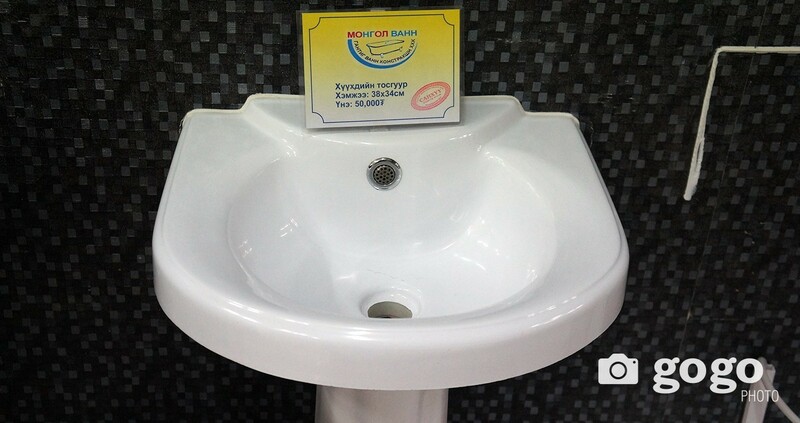 Bath tubs of 1.2-2 m long with front closures and fixtures are priced at MNT 180-450 thousand. Jacuzzi tubs are at MNT 1,350,000 for corner type and MNT 1,750,000 for two persons. Color options add MNT 100-150 thousand to the base price, as the color is achieved by adding desired colors into the mixture before molding, meaning the color won't fade. -I have a question regarding the quality. Currently the hard mass countertops are used, while those will break with time. You have said that your bath tubs and sinks are made of stone. How does that improve the quality? -We use natural stone powder to produce our products. The technology uses high temperature molding of the mixture. The technology we use is completely different from how the countertops are made. We offer technology that ensures the sustainability of the colors and high quality. The standards dictate the load capacity to be not lower than 500 kg. The medium load is usually at 80-100 kg. -There are challenges that businesses face. What are the challenges that are specific to your business? 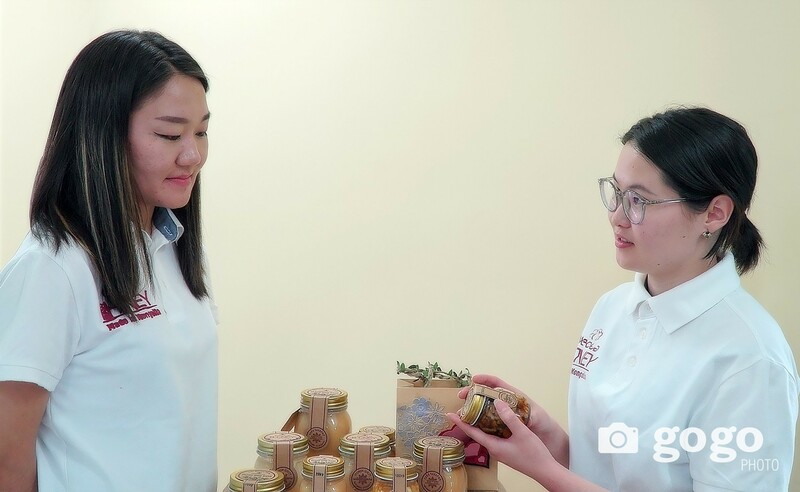 -The raw materials are not produced here in Mongolia. This is one of the bigeest challenges we face. 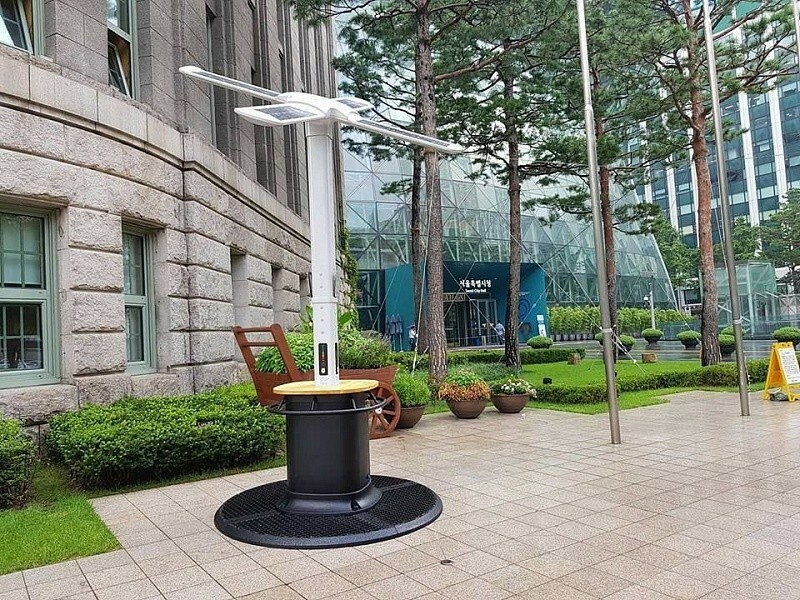 As we use Korean technology we have to use the raw materials from Korea. With fluctuation in currency rate the price for raw materials change a lot. This dictates us to increase the prices, which is difficult with current economy. Therefore we concentrate on delivering quality products and building the brand. It is far for us to have our initial investments back. But we are more keen on finding solutions and looking at opportunities rather than counting our obstacles and challenges. -It has been quite some time for your company already with production. You must have gained a lot of experience? -Our products are familiar with the construction companies now. We have gained loyal customers. Three years of operation gave us a lot of experience. We try more to offer discounts and additional services for our clients. For instance, we do delivery, installing and give guarantees. Moreover, we are now more experienced in dealing with production faults. -Are the more options coming for colors or patterns? -We are now doing preparations to produce bath tubs and sinks with Mongolian patterns and calligraphy. Meaning if the customer wants the traditional patterns we will be able to do so. -That is quite interesting. How many people does the company employ? -We have 8 fulltime employees. As the construction sector reliant on season we do hire more contractors during the busy seasons totalling to 12-14 employees. This year we have planned to expand into delivery and installing teams and add the production, but the economic situation and slowdown of the construction sector won't let us to do so. We wanted to expand the jobs to 20-25. 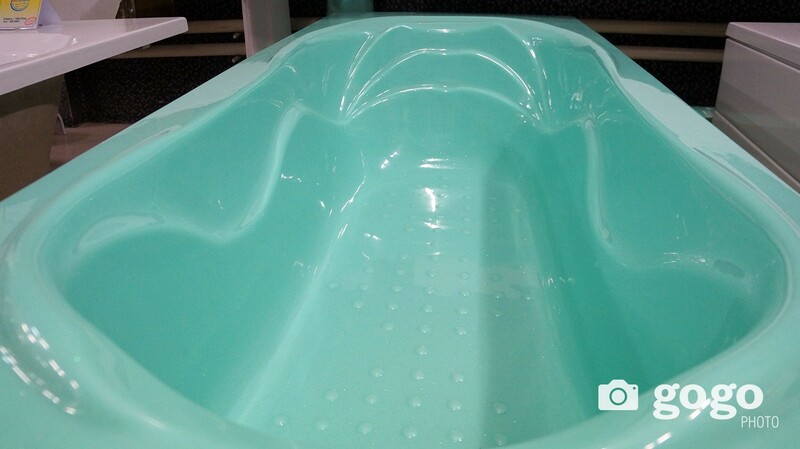 Currently we order the molds for the bath tubs in Korea, which carries costs. The recent trend in construction is to have smaller bath room space and most new apartments only have showers, while the residents are more inclined to have bath tubs. This drives us to produce smaller bath tubs. We are planning to have our specialist to be trained in Korea, so that we can do molds here in Mongolia. We have negotiated the training to be held in the 4Q of 2015. -Do you have plans to expand the stores aside from human resources development? -Indeed. We are working to have 2-3 stores by next year. We do actually receive offers to sell our products. -Thank you and we are wishing success in your business. More detailed information on Gantig Bath Construction can be found HERE.